#GIRLBOSS — Kate Williams is a writer and editorial director. Nasty Gal Founder and CEO Sophia Amoruso's book #GIRLBOSS debuted at #2 on the New York Times Bestseller list (Advice, How-To & Miscellaneous) and remained on the list for 16 weeks. 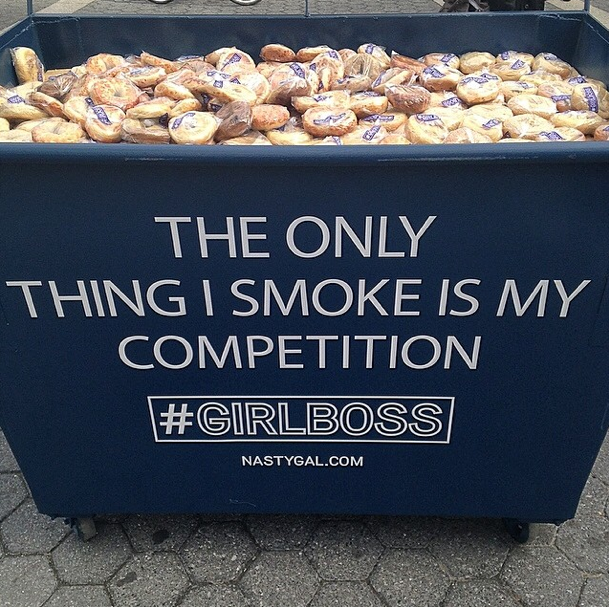 Working closely with Sophia and Nasty Gal's VP of Marketing, I acted as editorial director and head copywriter for a launch campaign that included print, digital and outdoor, as well as the non-profit #GIRLBOSS Foundation and an independent blog.